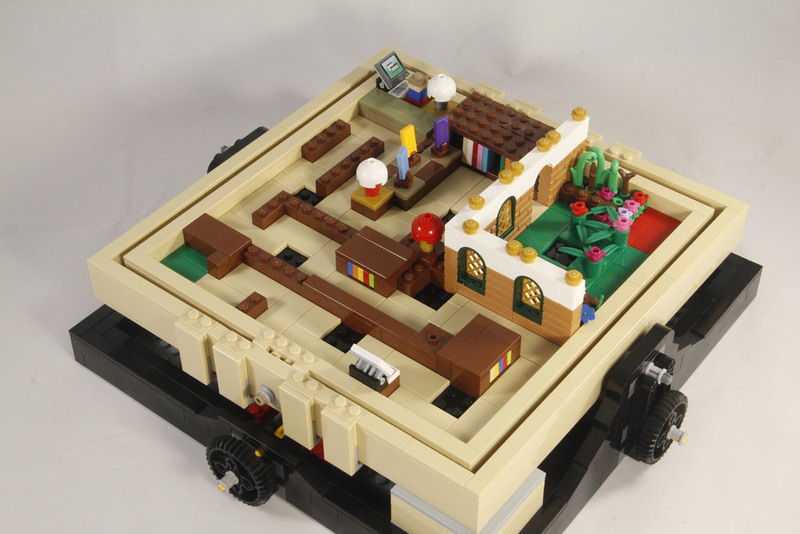 As you will be very aware by now, I’m a huge fan of the LEGO Ideas theme. 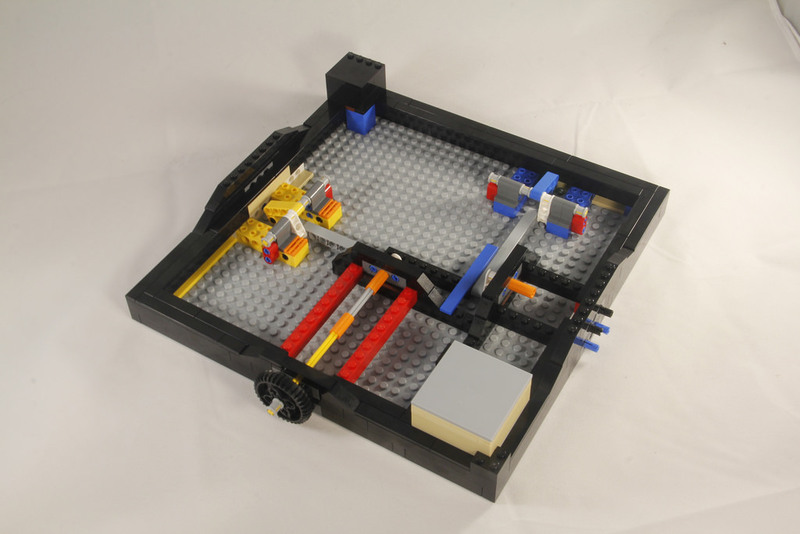 Every single set in the theme captures the essence of why we love this little plastic brick so much – the possibilities are endless, and there’s an incredible amount of creativity in the community. 21305: Maze has been one of the most anticipated sets for me in this theme, and I was super excited to get a copy of it in Malaysia just before it retired. The original project was submitted by the brilliant Jason Allemann in early 2012, and took just over two years to get to the 10,000 supporters mark. It wasn’t hugely well received by the community, with some loving the nostalgic feel, and others thinking it was a silly project to get through. It underwent some changes to become a set, but they were minor. 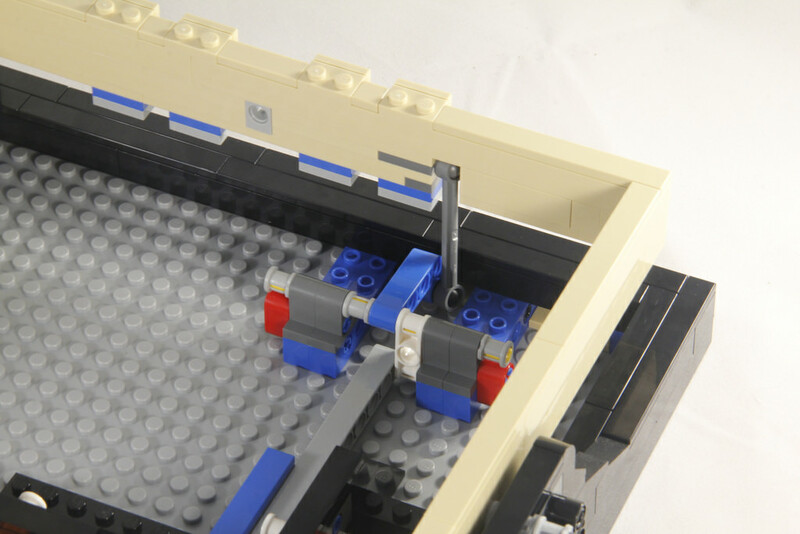 The box is a typical LEGO Ideas design, with one edge acting as a hinge. The printing on the box is beautiful and understated, with a maze pattern as the background. My box got a bit squashed coming back from Malaysia, but it was still functional. This section is pretty obvious. It’s a game, so there’s inherent playability. It’s the whole point. The entire time I was building this, I was thinking “man, I can’t wait to play this!”. It’s a superb table-top game, and everyone will want a go. 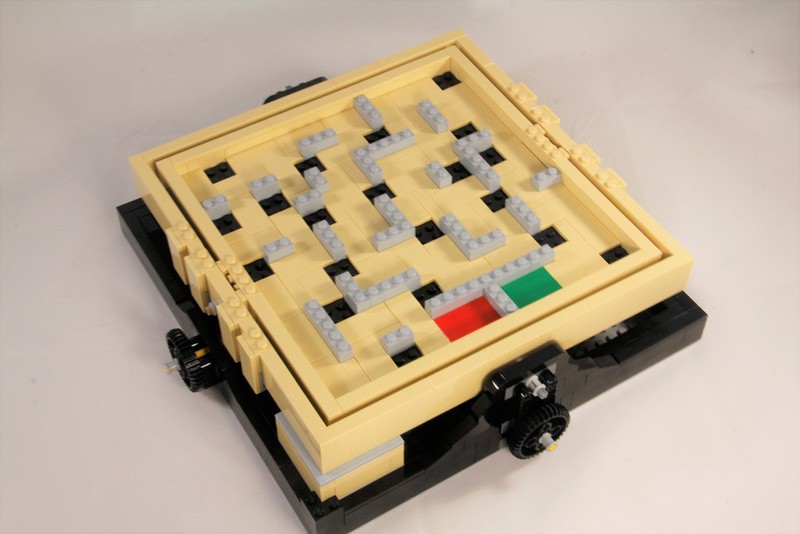 The movements are great, and you don’t have to move the dials much to get the ball moving.The inclusion of another maze design is fantastic, and I’m really impressed by some of the other mazes that people have come up with. The Brick Fan has an excellent list of some of the best ones. I’m definitely going to try to build one myself. All in all, the playability of this set is second to none. Needless to say I was up pretty late after building it, running the ball through over and over again on the original maze design. It’s tricky to get the ball through, and I found myself in a hole quite often. It was great to see up close how the mechanics work – it’s all quite simple once you think about it, but as I was building it, I was amazed at Jason Allemann’s ingenuity and creativity. It’s brilliant. The framework around the base is black and tiled, so produces a beautiful, smooth finish that looks extremely professional. At this stage the bracket for the ball holder box and travelling brace is added. Next up is the outer frame. It’s a simple build and comes together very quickly. Underneath the SNOT elements are 1×2 plates that are also colour-coded to match the base, so if the set is dismantled somewhat, it’s easy to put back together again correctly. 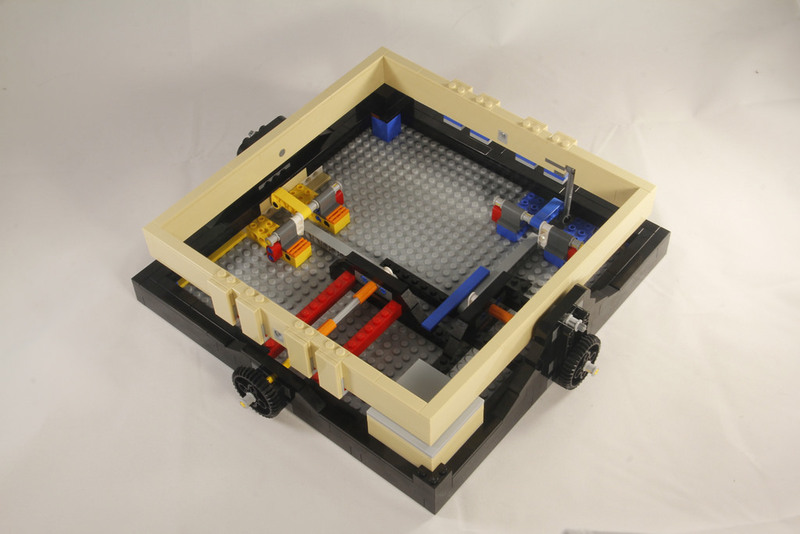 The frames are both linked to a Technic track rod, attached to the base mechanism, allowing the maze to move back and forth. After that it’s the inner frame. Insert it, remove the stoppers and give the motions a go. Now is where you see how the maze fits in. It sits in the inner frame loose, but still very snug. Lastly, it’s the maze’s turn. The 8×16 plates are put together with an 8×8 in the centre. Pay attention to the instructions, as it’s easy to forget what you’re up to! One tip I will give is make sure the tiles are pressed down completely. I did have it a few times that the ball got stuck because a tile was raised a hair. 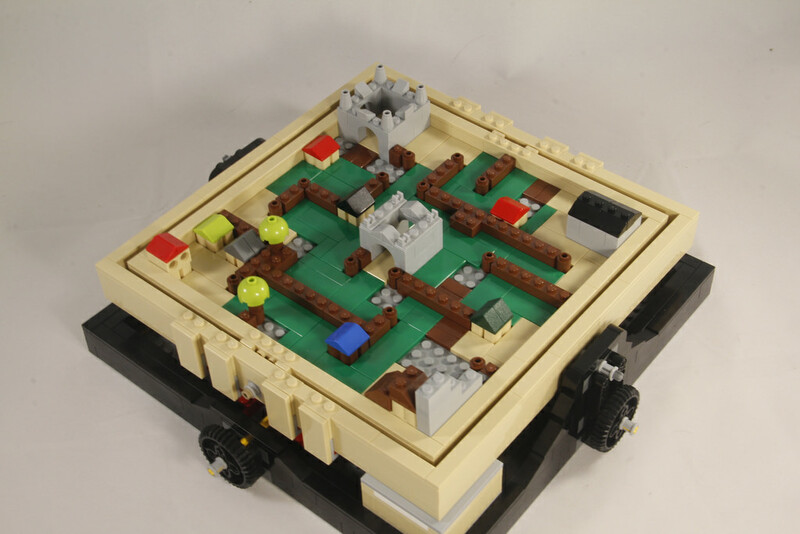 If you want to create the castle maze, then you’ll need to take apart the other one, but if you’ve got extra plates in your collection, you can use them to start another base. You will need about half of the other already used parts, so don’t get caught out like I did. I’ve now got the castle on a grey base instead of the black. As the mazes are customisable, I decided to give it a go. I’m a librarian by day, so I decided to put together a little library maze, complete with a garden outside. It was good fun to make, and while easy to master, it’s still a little bit of a challenge, especially for the littler kids.Surprisingly, for a rather symmetrical model, there is not a lot of repetition with the build. Sure, there’s some, but it’s hardly noticeable. There’s good variety in build techniques too – some SNOT, some Technic, and a lot of studs on top. All in all, it’s a fun set to put together. Having this set on a table is just inviting people to play. It looks just like the classic game, especially with the tan tiles representing the wood. Interchangeable mazes are a step up. It’s so exciting to have the capacity to do this. It’s brilliantly designed, runs smoothly, and is so much fun. The ball isn’t quite round, as there’s a hole in them as well as some dimples. It means that sometimes the ball gets stuck, and a wiggle is required, often sacrificing your ball.It’s tough enough to get the ball past the holes, and is hugely satisfying when you manage it. I’m a big fan of this set. It’s well designed, and looks incredible. Maze is now a retired set, so you’ll be paying more than RRP to get yourself a copy. Secondary markets are sitting between AUD$120 and $160, with some cheaper options around as well. It’s not that bad if you can get a cheap one, as the playability is well worth it. This set was a bit of a tough one on the market, – some loved it, some hated it, so I think prices will tend to stay where they are. There’s not a huge demand for it, apart from the nostalgic value. The parts included are good, but there’s probably a cheaper method to getting them. Although, at around 15c per element, that’s not too bad. This one is tricky. 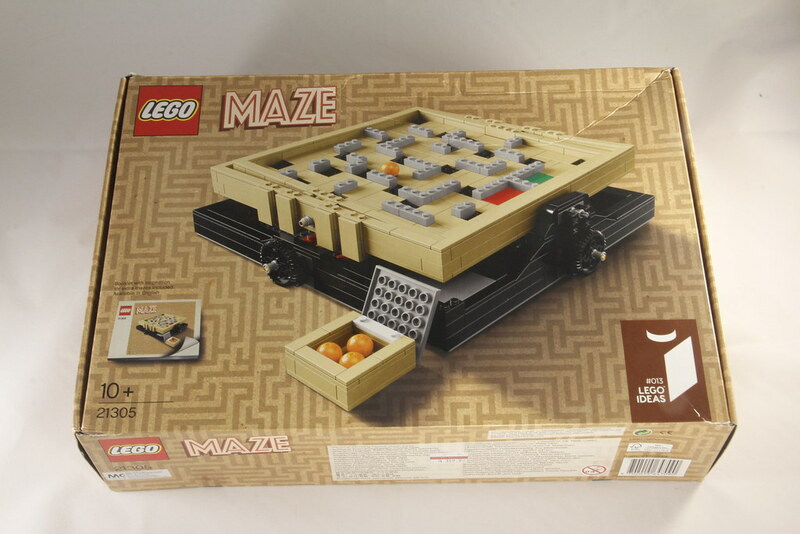 If you’re one of the people that had a Labyrinth Marble Maze when you were a kid, then this is a must have, especially if you loved the classic game. If you didn’t, then the concept may be lost, but it’s still fun. It’s a playable game from LEGO that in my opinion actually works, and isn’t gimmicky, so I’m going to rate it higher because of it. Like I’ve said before though, you will most likely have a different opinion to me! Next week there won’t be a review, as I’ll be away for the weekend, but I’ll be back the following Monday with a set review again. 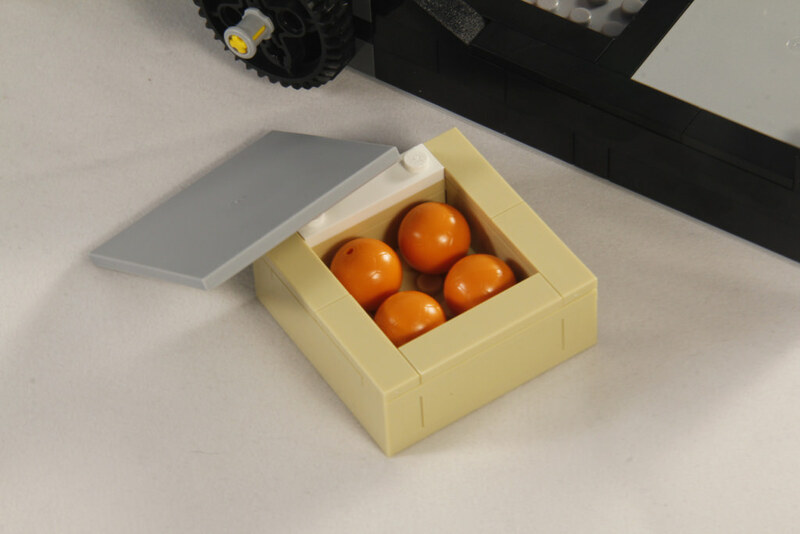 I’m also going to be doing a few live builds on the BricktasticBlog Facebook page, so make sure to stay tuned to that channel! I recently did a live video of my LEGO room, asking for your input into what set you’d like me to review next. Head over and have a look! What did you think of the maze? Do you agree with my comments? Let me know below.